When I visited a musical instrument store, the store staff demonstrated me the Roland R-Mix product. 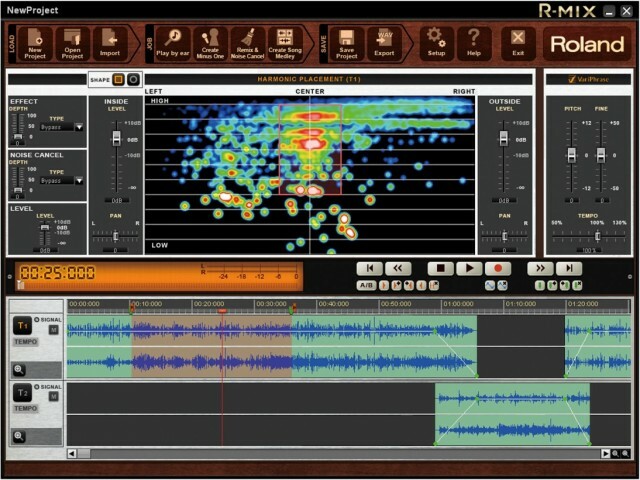 R-Mix allows you to see the individual components of a stereo mix as colour-coded clouds of harmonic matter. R-Mix graphically breaks down the stereo mix data into three elements (frequency, panning, and level). Actually, I tried to create -1 music track using R-Mix. I was surprised that operation is very easy and the sound quality is very good. This will be released on Mar 22 , the price will be around 1,600yen.